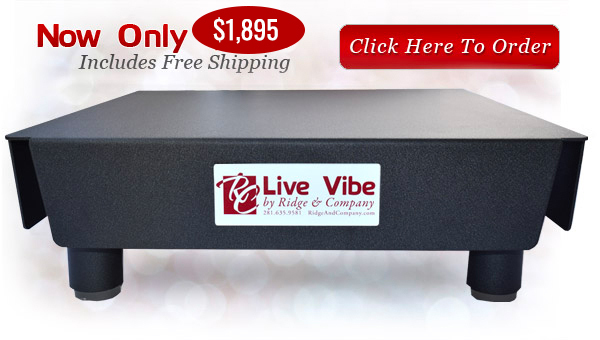 Live Vibe is the newest technology in the physical therapy field. This machine is designed to transfer vibrations to the Central Nervous System through either the hands or feet. The results are amazing! The Live Vibe increases a persons metabolism while also improving circulation. The Live Vibe can be useful to Chiropractors because of its competitive edge and minimal space usage, seeing that it’s not a bulky machine, but still has an updated look. Another benefit of this machine is that a patients down time is minimal, and their standard care and outcome improves almost twice the time without using it. During Whole Body Vibration, the moving plate excites stretch receptors and tendon reflexes in joints, promoting increased receptor activity and challenging balance and coordination in a safe environment. Single-leg activities during WBV promote improved static and dynamic balance through that lower extremity. Whole Body Vibration can quell the effects of osteoporosis by balancing hormones and increasing mechanical stressors on bones via involuntary muscle contractions. Pregnancy can soften connective tissue and pelvic floor musculature. Vibration therapy quickly returns the hormonal system to balance while firming connective and muscle tissue. Improved blood and lymph circulation via WBV speeds healing after surgery or trauma. Serotonin release calms a patient, while HGH release speeds recovery. WBV also inhibits the loss of muscular strength during the post-op period.